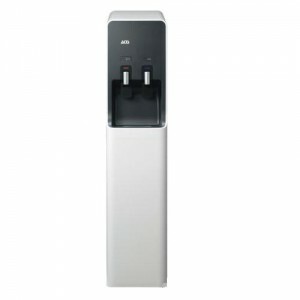 The ACIS 520 series Point of USE water Dispensers are an environmentally friendly convenient and cost effective way of providing a constant supply of chilled water. complimenting to all environments with a clean design, intuitive controls and sophisticated good looks. Drip Tray: Lift out design, High impact durable ABS plastic. Removable anti splash grid. Taps: Push taps, made of high impact durable plastic. Easy to remove and clean. Refrigeration System: Quite, air cooled static type condenser. No fan required.